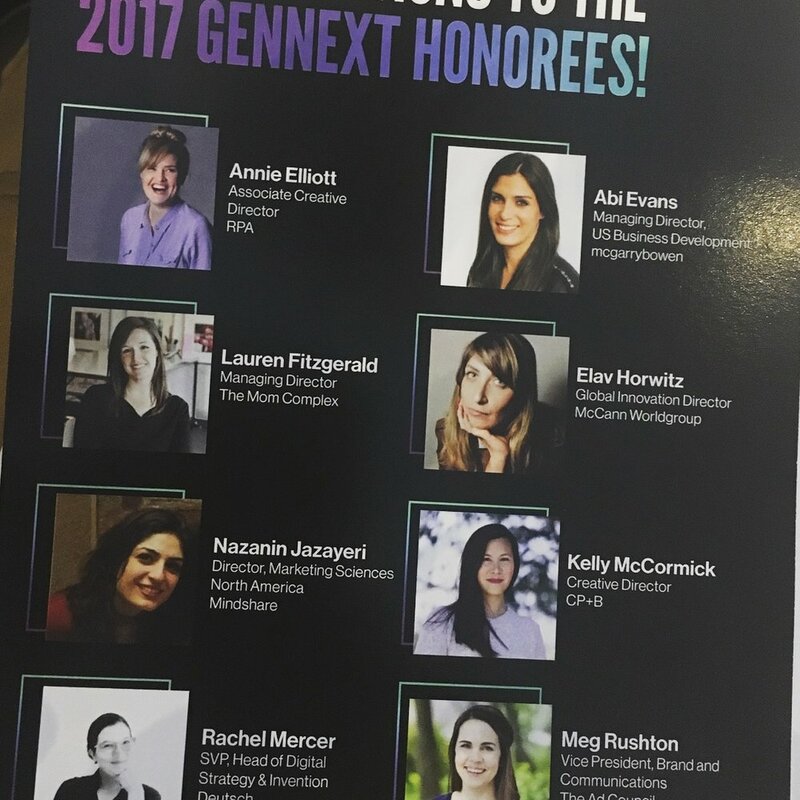 She Runs It — formerly Advertising Women of New York (AWNY) — a longstanding industry organization dedicated to supporting and fostering women leaders at every level in marketing and media, held their 2nd annual GenNext Awards gala in partnership with Forbes, on Wednesday, September 13. 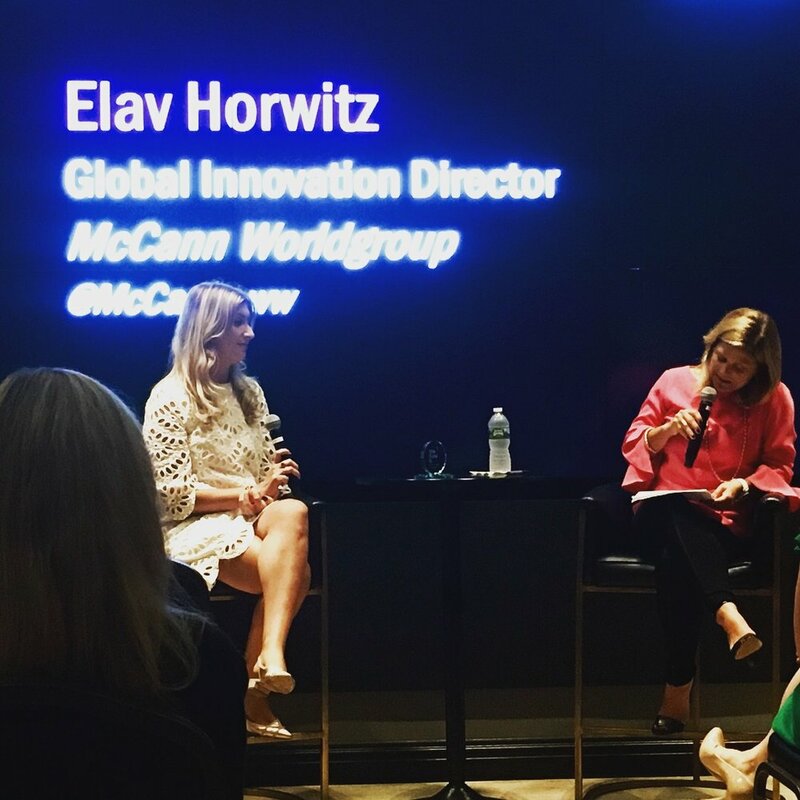 Eight outstanding women were honored at the awards ceremony, among them our very own McCann Worldgroup global innovation director, Elav Horwitz. Naturally, a crew from McCann showed up to support Elav on her night in the spotlight. The evening opened with a cocktail reception at Forbes on Fifth, and after some mingling, She Runs It President and CEO, Lynn Branigan, made opening remarks to welcome the crowd. The awards were presented individually, and each honoree sat down with moderator Jenny Rooney, Editor of the CMO Network at Forbes, to talk about their work and life philosophies, what makes them tick, and what they believe drives success for women in the industry. 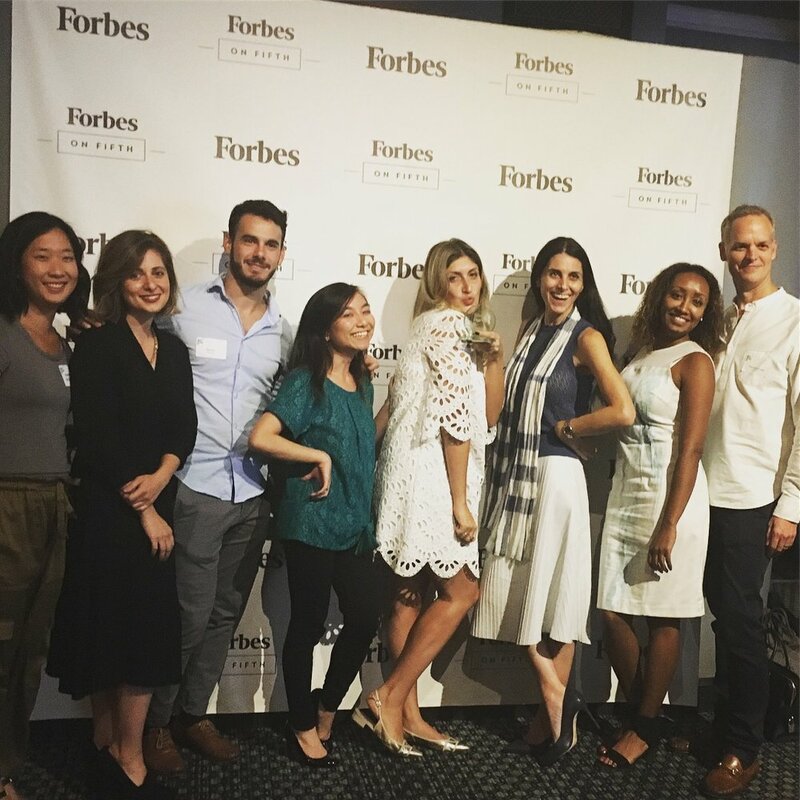 The night was filled with energy and inspiration, and it was wonderful hearing from all eight honorees, which included marketing and media women from RPA, CP+B, The Ad Council, Deutsch, The Mom Complex, mcgarrybowen, and Mindshare. Watch the video to see the honorees. As members of the IPG network, McCann Worldgroup employees can request complimentary She Runs It membership. If you are interested in becoming a member, please contact Nadia McDowell at nadia@sherunsit.org.